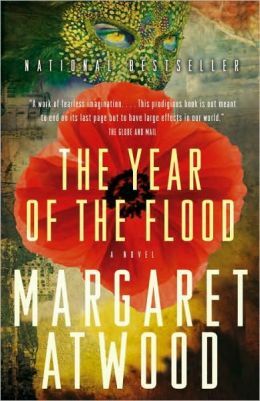 I just finished the second installment, The Year of the Flood (2009), and was not disappointed. 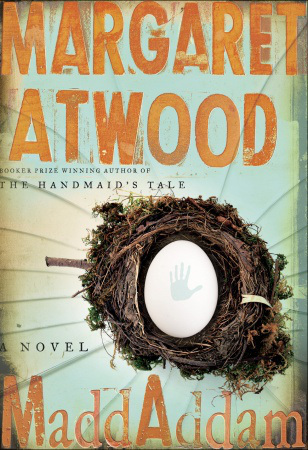 Atwood’s prose is straightforward and casual while jumping from the minds of a few principal characters. This limited first person is one of my favorite styles. You get a multiple of reactions to the same scenario. In this story, the Gardeners are ex-scientists and medical professionals who gave up their allegiance to the Corp and started a commune honoring all that is natural and organic. Principal characters become a Gardener, and as the story of survival unfolds, gene-spliced animals, man is hunted for amusement, and science has run amok, The Year of the Flood reminds me of The Island of Dr. Moreau and The Running Man. I can’t wait to begin the last book in the trilogy that came out in 2013, MaddAddam: A Novel. Just today, a student of mine brought this to my attention. Looks like the future is today. Check out this disturbing article about pigs with human organs. Sounds very good. I will check them out. I like them. They are easy to read. Thanks, James. You are catching up! I have thirty pages left. I’m pissed Snowman-Jimmy hasn’t had more of a role and agree with the lack of presence. I’m rather mad at Margaret for it seems she rushed the third and final book. She’s soooo good at creating characters and mood and setting; I feel her heart wasn’t in this last installment. I haven’t gotten quite deep enough in the third to have that strong a reaction yet. I will say the Zeb herofication amongst the Crakers and the Crakers themselves aren’t grabbing me as much as Jimmy and Ren do. Oates? Stupid auto correct. Pages. Have finished the third, and like you, I think Atwood made a series of mistakes. Starting with far too many flashbacks to Zeb’s earlier life – it felt like she fell in love with his character and decided to show us why we should think he’s cool, too, rather than showing us scenes that propelled the central story. And because she showed so much of Zeb, she didn’t give enough of the story that mattered. Which is to say: the third book certainly wasn’t as good as the first two. Which is definitely much too bad. Yep. Totally agree. What a downer. I didn’t feature it as “Read This” because I don’t recommend it. I actually looked for the review (Google and you site) before commenting here. I figured you didn’t have one because it isn’t very good. Seems I was right. Thank you so much! A student of mine made the GIF capturing that great episode about the value of books…. I wish I were more of a reader like you! This one sounds intriguing indeed. Where have I heard of the name Margaret Atwood before, she sounds so familiar. ‘The Handmaid’s Tale’ is a standard in college English classes. 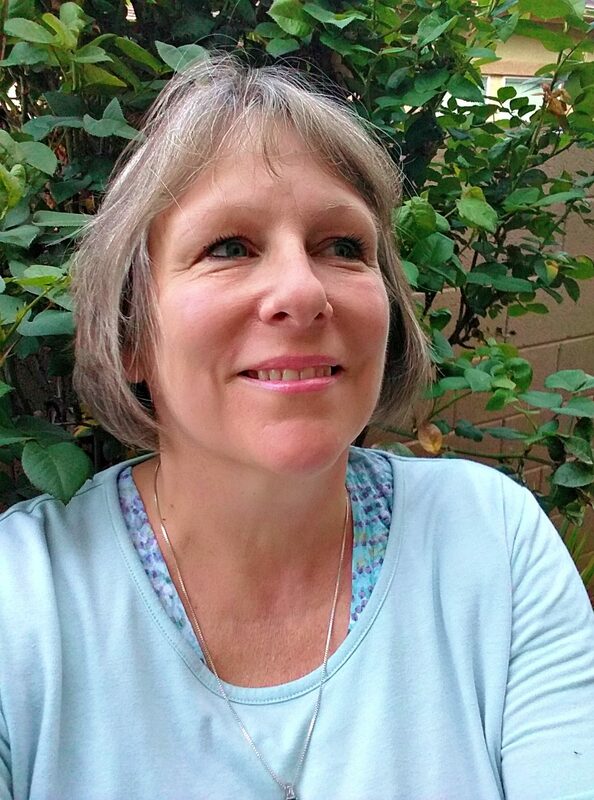 She’s a wonderful Canadian writer. One of my favorites, easy to read, and does Dystopians well. I haven’t read any books by her yet and I know I should fix that problem asap. So many love her. Dystopias aren’t for everyone, but I like a peek into the possible future and Ms. Atwood is great at it. Sounds like a really interesting read, and well reviewed! I’m avoiding sci-fi/fantasy in my reading at the moment because it dominated so much of my reading in the past, but when I return to the genre I’ll make sure to prioritize this! 🙂 Atwood is a top-notch writer.